A SENIOR high school graduate of Liceo de La Salle Danice Decolongon, the Lin-ay sang Ilog, was crowned Lin-ay sang Negros this year during the pageant competition at Panaad Park and Stadium in Barangay Mansilingan, Bacolod City Friday night. In a close to three hours of beauty and brain competition, Decolongon bested 26 other candidates representing various towns and cities in the province. She received P70,000, a trophy, and a sash. 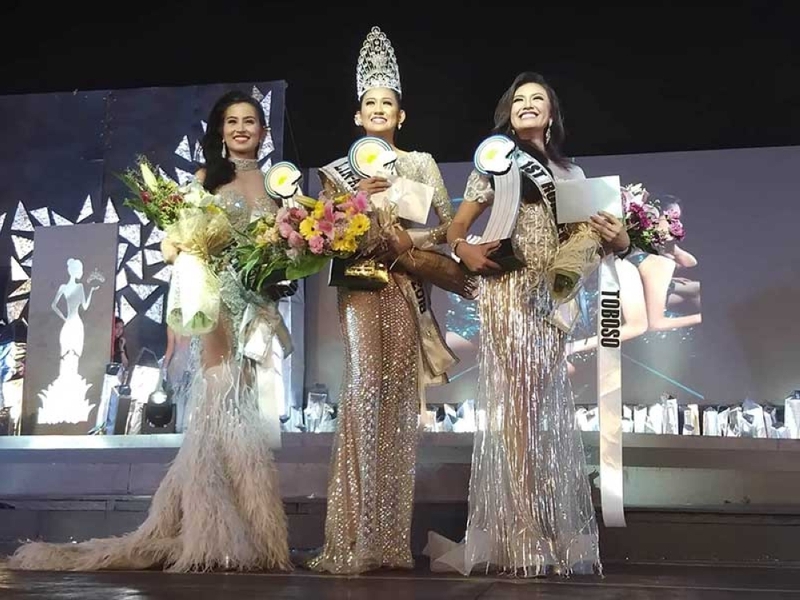 Last year’s Lin-ay sang Negros Angelika Esther Portugaleza who represented Bago City has relinquished her crown to Decolongon with Miss Universe first runner-up Vickie Marie Rushton, and Renee Salud joining them on stage. The newly-crowned Lin-ay is a varsity player at their school who also does modeling. In a post-pageant interview, Decolongon said she was “still in shock” after being named as Lin-ay sang Negros, adding she dedicated the crown to her family. She also won a special award. She was named Best in Evening Gown. Decolongon was followed by first runner-up Lin-ay sang Toboso Klaire Ann Labrador Libre who is a student at the University of St. La Salle. She got P50,000, a trophy, and a sash. She also won Best in Swimwear. The second runner-up was Lin-ay sang Hinigaran Yasmine Cabalfin, who is a degree holder of Bachelor of Science in Pharmacy at the University of Negros Occidental-Recoletos in Bacolod City. She got P30,000, a trophy, and a sash. Lin-ay sang Binalbagan Kristilyn Delprado was named as Miss Congeniality; Lin-ay sang Hinigaran Cabalfin, Miss GMA Kapuso, People’s Choice awardee, Best in Festival Costume; Lin-ay sang Kabankalan Gheneza Marie Mueller, Miss Robinsons Photogenic; Lin-ay sang Sipalay Patricia Nicole Balbin, Miss Lin-ay sang Organic; and Lin-ay sang Murcia Lawrellie Cay Allen, Best Designer award. Each winner of the special awards received P8,000. Lin-ay sang Kabankalan Gheneza Marie Mueller is Miss Pure Pound, Miss Eclipse 2018, Miss Cheneleng Cosmetics and Lin-ay sang Cadiz Meile Polines is Miss Negros JM Regalado Trading. Each company gave their respective prizes to the winning candidates. The pageant night was capped with a fireworks display wherein the huge crowd were wowed by the spectacular display.